WES Engineering Solutions, a Cornwall based precision engineering manufacturer who specialise in tooling for the automotive industry, are one of many on the edge of the Brexit ripple and the car industry decline, and yet are proving that investment is key to their ongoing success. Launching into 2019, financing a £200,000 machinery investment in a period when the headlines are discussing challenging finances and a slowing of the UK’s economic growth, indicates WES’s success, commitment to their local workforce and UK manufacturing. 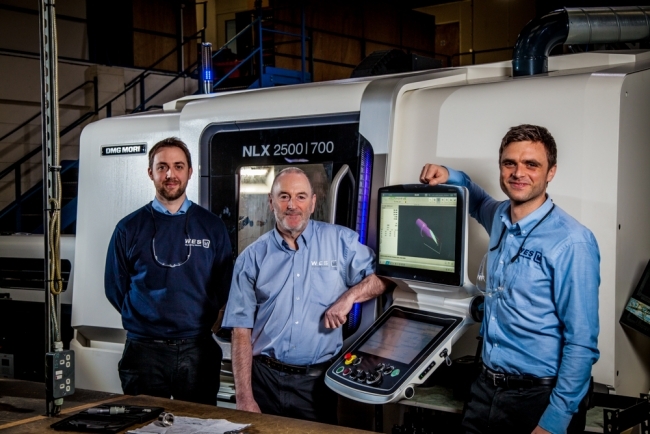 Achieving double-digit growth in 2018 as well as expanding with three new apprentices and additional recruitment, WES has a 25-year heritage of working with some of the world’s toughest and rarest metals, manufacturing products for a wide range of global organisations including the aerospace, automotive and oil and gas industries. Jon Hurrell, CEO of the Cornwall Manufacturers Group concluded: “Technology is reshaping the manufacturing industry and WES’s commitment, despite trade concerns, raw material price increases, supplier stockpiling issues and everything else surrounding Brexit, is an exceptional example of their commitment to manufacturing, reflecting their invaluable contribution to this global industry.